SEO marketing for real estate is one of the most effective ways to move the needle for your company or property marketing efforts. To stand out in the crowded commercial real estate market, regardless of location, tenants and investors need to find your website first and foremost amongst your competitors. You’ve likely heard of SEO (search engine optimization), knowing just enough to realize how competitive the space can be and that a haphazard attempt won’t get you very far. You know it’s important, but have no idea where to start, and what kind of investment is going to make the most sense for your business. To help overcome those obstacles, we’ve compiled this guide to help identify the specific things Google looks for in websites when establishing rankings and how commercial real estate websites can improve their SEO performance. Do you want to maximize the online visibility of your listings? Download the eBook How To Make Google Love Your Property Website. Imagine having to pay for every pair of eyeballs that visit your website. Every single one. It would cost a fortune, especially with the ridiculously high cost of digital advertising in the commercial real estate industry. Now imagine getting hundreds or even thousands of clicks without having to pay for ads. That’s what SEO provides – an organic flow of traffic from search engines that you don’t have to pay for one at a time. There will be heavy long term investment in your website, brand, and off-site elements to achieve visibility in Google’s search results for competitive real estate-related terms. But once you do, all that investment will pay itself back many times over. What exactly is Google looking for when they decide which sites will rank on the first page for a given search term and which do not? 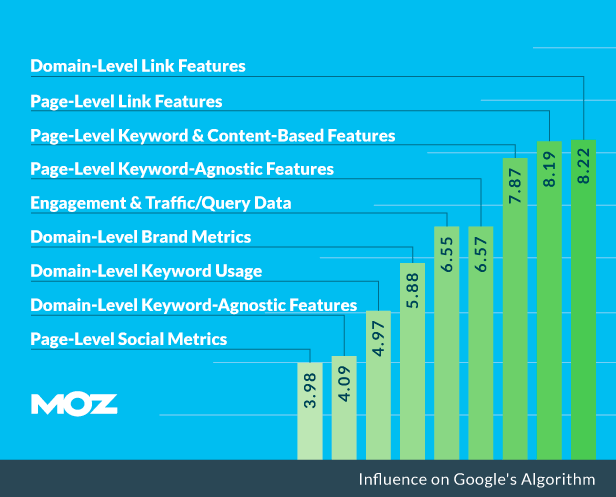 According to MOZ, one of the foremost expert SEO firms, the following 9 factors are most important for SEO impact. Page level content features such as length, readability, uniqueness, etc. Brand metrics including mentions in the media, association with larger entities, etc. Length of domain name, the extension used in the domain, SSL certification, etc. Let’s dive deeper into each of these factors, how they directly influence your search engine ranking positions (SERPs) and what you can do starting today to affect them. There are two sides to any SEO strategy – the things you directly control on your website and the signals that other websites send in the form of backlinks to your content. We’ll tackle each of these individuals with some of the specific factors that matter most in commercial real estate. What is On Page SEO? Any factor on your website you can improve or optimize that affects how it ranks in the search engine results. This most refers to your web page’s content, user experience, HTML source code and other technical factors. There are dozens of factors that you can directly control on your website that have an impact on how Google views and ranks your content. This is the foundational work you must do if you want to be considered and avoid potential penalties against your content. Your website needs to use the terms and phrases that your ideal prospects are searching for. At the same time, you want to optimize your site for the keywords that have the largest possible traffic within those that are appropriate. To do this, keyword research and optimization of your site’s H1 tags, descriptions, and core content is important. The META description is what users will see when they find a page from your website in the search listings. It should clear, easy to read, and detailed about what they will find on that page. Use all 160 characters. Similarly, the Page Title should describe what the page is about and use all relevant keywords at least once within 70 characters. Google’s algorithm is built to measure the user experience more than anything. If your site has roughly the same degree of content quality as a competitor but is easier to use, you will rank better nine times out of ten. For this reason, your site needs to be quick, easy to navigate, and generally pleasant to look at. Specifically, navigation plays a big role in a site’s user-friendliness. Can someone find everything they need within 2-3 clicks? Or must they dig through convoluted menus and messy inter-linking of pages? Similarly, URLs should be easy to read and follow logical hierarchy. Content that is well-written, unique and only found on your website are crucial factors for SEO. Google will ignore pages that use content found on other websites. Known as “duplicate content”, this can be detrimental to your website, reducing the volume of original, useful information for visitors. Your site needs a good balance of high quality, original, and in-depth content. At the same time, content should be updated regularly. In commercial real estate, this can be done with greater ease than many industries because of the nature of the business. New properties, updates to property descriptions, or recent listings all make for good new content, as does a regularly updated company news and blog. This is vital for real estate SEO. Not only should each property you represent have its own page, targeting both location keywords and the property address and name, but you should consider a standalone URL just for that property. Google no longer lists websites in mobile search results if the site is considered to not be “mobile-friendly”. This means it should display with a custom, easy-to-use mobile-version when someone is on a phone or tablet. This can represent upwards of 20% or more of your total traffic, so it’s incredibly important. Everything above sets the table for your website. It establishes a strong platform, and a smooth running machine that ticks every box Google has when evaluating a site. This next batch is focused more specifically on how the rest of the Internet looks at your website. Google’s algorithms have long relied on backlinks to determine rankings. Each link you receive from another site acts as a “vote” for your authority. The higher quality the website sending you such a vote, the more valuable it is. So a good balance of volume, quality, and specificity are important to show that your content has a broad reach, is highly regarded by top rated sites, and answers specific questions that people in your field are asking. Below are some of the specific types of links that have the largest impact on SEO as a whole. Commercial real estate is primarily local, and so too should the links you generate to your website. This means generating links in local property listing sites, writing guest articles or posts for local newspapers or blogs, and getting visibility form any local (or national) associations or organizations you are involved with. These links are targeted and are considered highly valuable. Getting in good graces with local reporters can be beneficial, but so too can carefully targeted and well-timed press releases. News mentions from PR efforts can result in both increased brand equity and dozens of local, high-authority backlinks if the story is sufficiently newsworthy. By interacting with other business owners, participating in the Chamber of Commerce, networking with local reporters, and working with local charities and events, you can generate links online from offline efforts. This is one of the key ways that real estate SEO crosses offline and online marketing efforts. Social media can provide thousands of signals to Google, each of them a vote for the quality of your content. While a Like on Facebook isn’t as valuable as a backlink from an established new site, you’re likely to get a lot more of them. Social signals from the big 5 social networks (Facebook, Twitter, Google+, YouTube, and LinkedIn), along with the dozens of smaller ones can generate a lot of visibility and may have an impact on your rankings. For those reading this right now, wondering what you can do, specifically, to make an impact sooner than later, there are a lot of options. But there are certain things that have a greater impact than others. The core of good SEO is the user experience – every major update to the Google Algorithm, every announcement from their web spam team, and every ranking factor they weight heavier than others is built on this core concept. They want people using their search engine to find the answers to their questions. That means a website that is easy to use, loaded with high quality, relevant content, and that guides user’s as efficiently as possible to what they are looking for. The following tasks will help you to provide that experience and improve the overall performance of your website from the user’s perspective. Detailed and unique property descriptions are vital. These pages have a high chance of ranking well in search, but only if they contain relevant images and videos, and a good amount of text describing the property. The content on your website is extremely important. This starts with the property listings and descriptions that form the core of your site’s content, updated availabilities for each of these properties, and company news announcements. Additionally, a blog has tremendous brand and marketing value, but it also helps to improve your SEO performance by adding new, relevant content to your website on a regular basis. Focus each blog post on at least one keyword term you are targeting to ensure maximum potential value. Links from press are extremely valuable so make sure any references to your properties or your business in the includes backlinks. If they do not, contact the journalist to get those links added. If you are listing your properties in major real estate platforms, you’ll have the opportunity to include links to your website and to property website. Chances are you belong to one or more real estate-related association. If so, you can typically acquire a link for your website. For example, if you are a CCIM member you can include your link on your profile in the CCIM member directory. Same holds true for many other associations. Writing guest posts for trade journals, blogs and other commercial real estate websites can help create visibility for your personal brand and positively impact your search rankings as well. Creating a Wikipedia page for your property and citing your website as a source can be an effective way to gain a powerful backlink from a top rated site. Typically, for a high profile properties a Wikipedia page may already exist. Now that you have a good handle on improving your website and building links, you might be wondering if it’s been worth the effort. The only way to find out is by measuring your success and building a marketing report that includes a few key metrics. SEO is a long-term play and results usually grow slow and steady. How many people visited your website from Google? The overall impact for all of your SEO efforts should broadly translate into more visits and probably the most relevant factor of success you should measuring. Gauge your website’s influence by analyzing link metrics such as the total number of inbound links or referring domains to your pages. The goal is to increase link volume from highly authoritative sites. Check the rankings of specific keywords you are targeting as well as overall keyword visibility for your website. Ideally, you want to see keyword movements trending upwards and increasing the number of keywords you show up for on the search engine results. The page load speed of your website’s pages are a ranking factor that need to be kept in check. Keep track of your pages speed as well as any page errors on a periodic basis. It’s easy to look at everything in this article and grow weary. It’s a lot. But don’t think of SEO as a massive project with a big price tag. It’s much more than that. This is an investment on par with any property in your portfolio. Good real estate SEO will help you to achieve what no advertising campaign ever could – persistent, organic authority in the world’s largest search engines. Hundreds or possibly even thousands of searches a DAY related to your properties. There are no shortcuts here. No easy button you can hit to push your site up the rankings and become the highest ranked site for any one set of keywords. There are plenty of people out there who will claim there is (and gladly take your money), but this is a long game, and the people who succeed are the ones who take that time and invest carefully in their business. If you’re ready for the next step, there are hundreds of powerful tools on the market (many free) you can use to start researching and taking action. 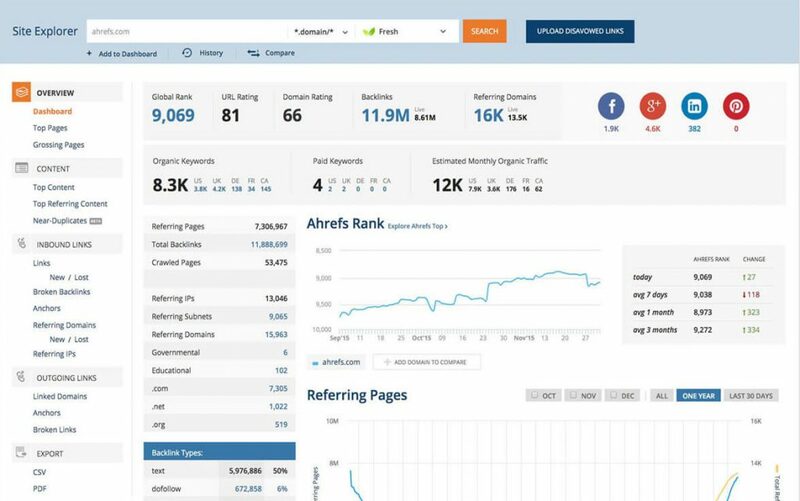 Ahrefs.com is a comprehensive SEO tool that can be used free on a limited daily-access basis to research your current Google Rankings, backlink performance, get content ideas, and keyword opportunities. This works for both your site and your competitors. 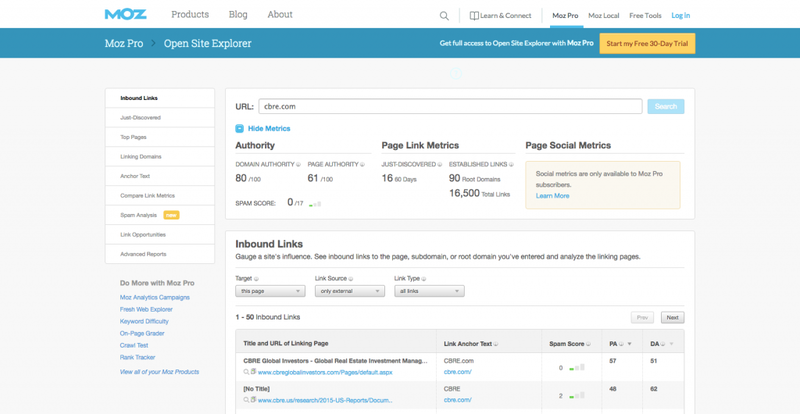 Moz Open Site Explorer is also freemium, with limited daily use to get in-depth link analysis of your website as well as compare performance of a competitor’s site. 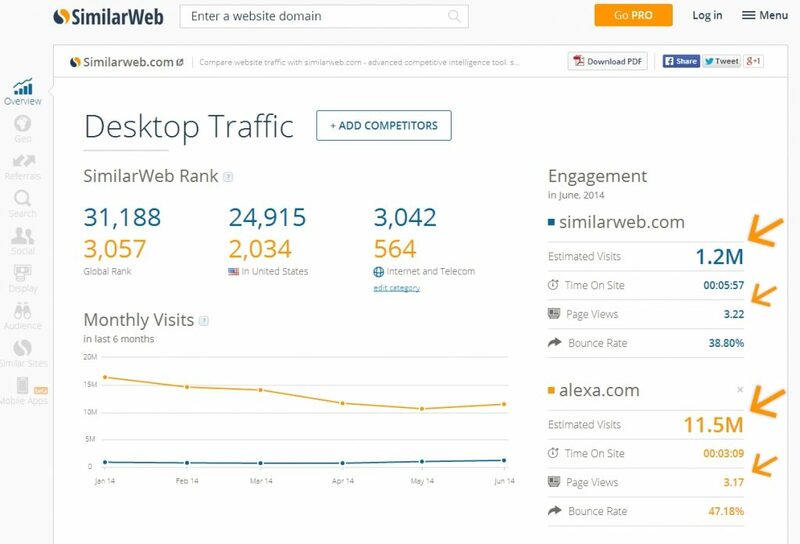 SimilarWeb will compare a website with others, to help you find relevant unknown competitors. High quality content you can emulate, and potential keywords and content topics. KeywordTool.io is a powerful tool for any SEO keyword research you might perform. It provides estimates of total search volume, along with the cost to advertise and suggestions for other terms you might target. Google trends allows you to see the recent movement of search volume for a term or overall trend, along with recent news stories and events related to it. GTmetrix is a performance analysis tool that gives you insight on how well your site loads and provides recommendations on how to optimize it. With these tools and the checklists above you can utilize SEO to boost your rankings, generate more organic (free) traffic to your site, and drive more interest from potential prospects. From a marketing guy at a CRE Tech company, this is really well done. Excellent job developing a valuable resource and service for CRE firms. Thanks for your comment Scott, I’m glad you found it useful. Thanks For sharing. I want the author to share more about building backlink for real estate website. Can you help me? Cảm ơn tác giả đã chia sẻ bài viết rất hữu ích về cách SEO lĩnh vực bất động sản. Đây là những kiến thức tôi đã tìm kiếm từ rất lâu. Thanks to the author who shared the very useful article on how SEO real estate field. This is the knowledge I have been looking for for so long. Thank you for the article Sharp Launch. The more we learn about SEO, algorithms, data, and analytics, the more effective we can be as entrepreneurs, real estate agents, and Realtors. We recently launched our company website Nashville Real Estate and are actively implementing all of these strategies and seeing results. Thank you! Great guide, although I wish you’d talked about more things related to real estate SEO specifically. Almost all of these things are things that every site should do for SEO, not just real estate sites.